Support has fundamentally changed - for the better. 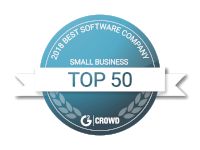 It's easier than ever for business customers to access and connect with vendors through multiple touch points, and support providers no longer have to juggle multiple interfaces and tools to provide an exceptional customer experience. From one-on-one support (usually via phone) to multi-channel customer service options, omnichannel has combined the best of both worlds, and made it possible for support organizations to address all customer needs, regardless of source, using the same integrated system. 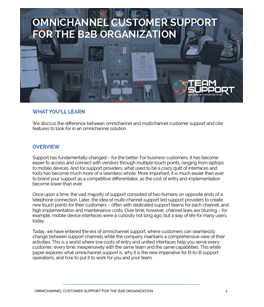 With the advent of B2B omni-channel customer support systems, it's now affordable and convenient to brand your support as a competitive differentiator.